The purpose of the RIO 12 – World Climate & Energy Event is to accelerate the transition to a sustainable energy industry. The global economic development leads to higher energy demands whereas the use of fossil fuels is reaching its limits. The development of further sites of exploitation is getting increasingly more costly and bears unpredictable risks for the environment and world peace. The fastest and safest way to bound climate change is the use of renewable energy sources and the preservation of natural landscapes. During the event representatives from industry, business, science and politics confer the way and discuss effective measures for the transition of the energy structure. which became a reality in many countries. RIO 12 is accompanied by the Latin America Renewable Energy Fair LAREF 2012 which provides key opportunities for companies to present their products and services to international trade visitors, implementors, operators and a proficient public. 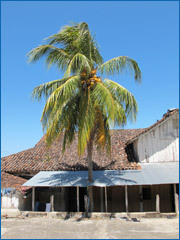 The Brazilian Government established a net-metering legislation for Photovoltaic Grid- Feeding in 2011 which will get into power in early 2012. That legislation - together with high levels of solar irradiance, elevated electricity prices, and a prospering population - sets the ground for a new, highly attractive market. The expert workshop in Rio de Janeiro on 10th of April 2012 will focus on the technical (grid connection requirements in particular), legislative, and administrative issues of PV-implementation in Brazil. The invited speakers are senior experts from the Brazilian energy program, the regulatory agency, import certification and customs. The target groups are investors, planners and installers. For RIO 12 sponsors we offer now the unique opportunity for a face-to-face meeting with the president of Nicaragua, Daniel Ortega, on Tuesday, 17th of January 2012. Focus of this meeting will be investment opportunities and legislation in the renewable energy sector of the country. The first stage of PV use has been in space and for remote power supply. Due to adapted grid-feed tariffs in some countries PV boomed during the last years, production capacities increased and prices went down. Now, PV is able to compete with consumer prices for conventional electricity, thus opening abundant markets in many countries with elevated electricity prices and sufficient irradiance. Latin America has been little affected by the global financial crises, increased considerably in energy needs and is now able to invest in sustainable energy technologies. 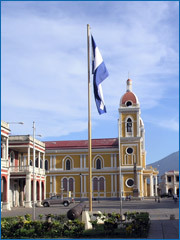 During 17th-19th of January 2012, an international conference in combination with an industrial trade fair will promote PV use in Granada, Nicaragua. 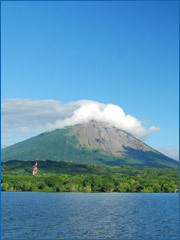 The Nicaragua government fully backs RIO 12 and proclaims to shift the country's electricity generation from 70% fossile fuel use to 70% of Renewable Energy use until 2017, via wind & hydro power, PV and geothermal applications. Six weeks later a RIO 12 expert workshop discussing the brand new grid-feed legislation in Brazil will take place in Rio de Janeiro, on 28th to 29th of February 2012. RIO 12 offers an insight of the actual state in the energy sector, the regional markets and focuses on the essentials for project preparation and project implementation. The invited speakers are experts and authorities from the sector. In Granada, an open call for papers will allow the scientific community to demonstrate the latest developments in the field. 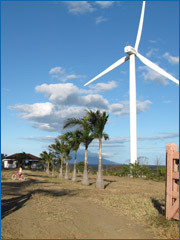 Preceding RIO-Events during 2002 to 2009 successfully brought together authorities from science, industry, politics, and the public to create more momentum to the shift towards a sustainable energy economy. Organizing Institutions: University of Paderborn, Institute for Electrical Energy Technology and Sustainable Energy Concepts, Universidad Nacional Agronoma, Managua, GIZ, Riosolar Ltda. Organisation Team: Prof. Stefan Krauter, Prof. Telemaco Talavera, Dr. Norma Rodriguez, Ing. Nils Waterstraat, Jakob Kammerer, Ewald Japs, Yassin Bouyraaman, Dr. Johannes Kissel, Marco Schmidt.